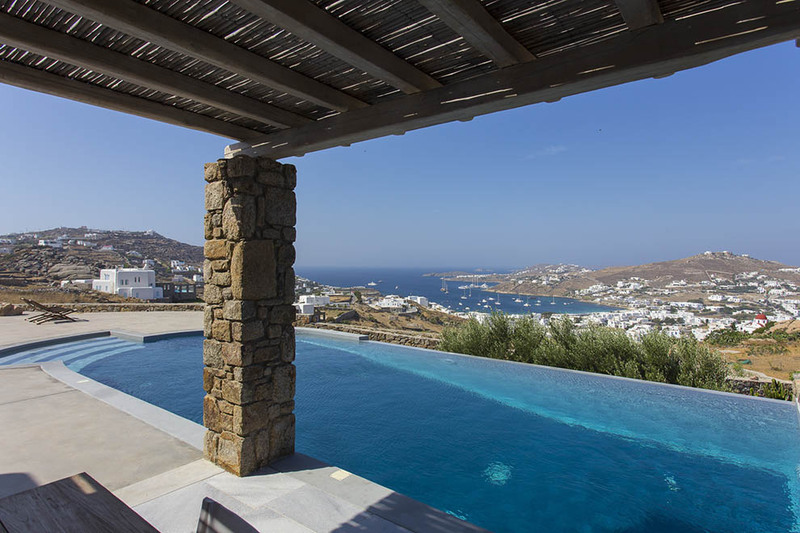 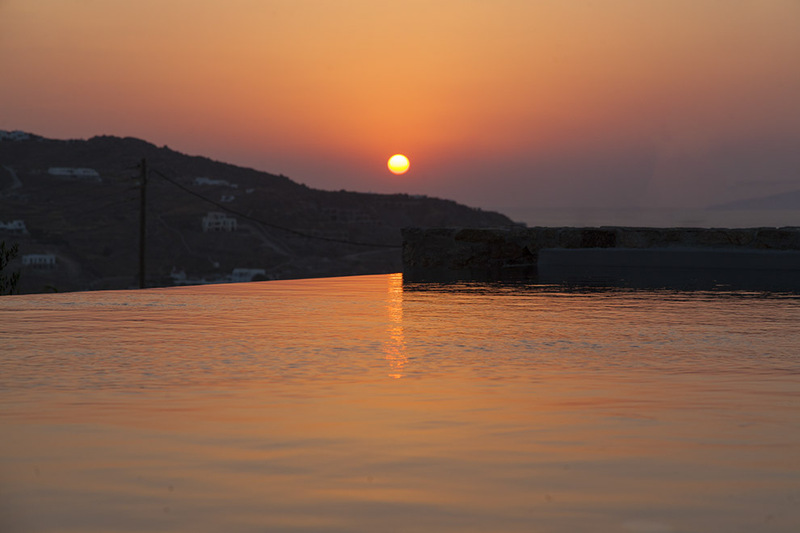 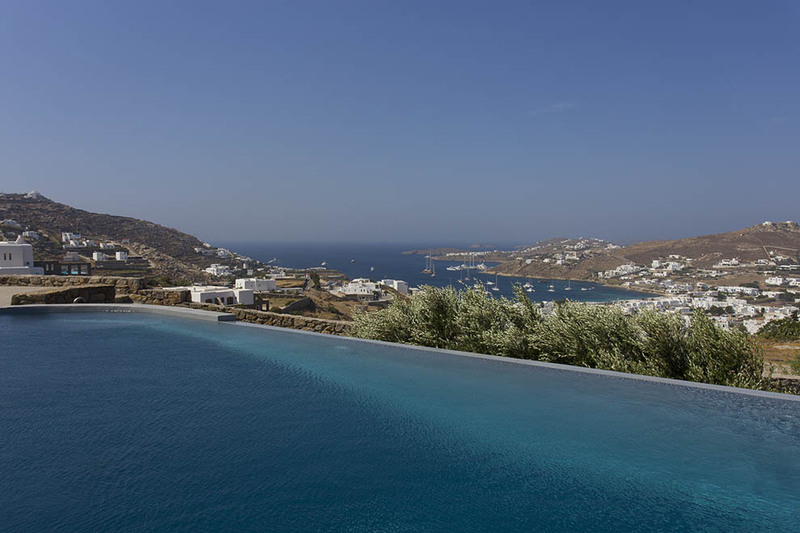 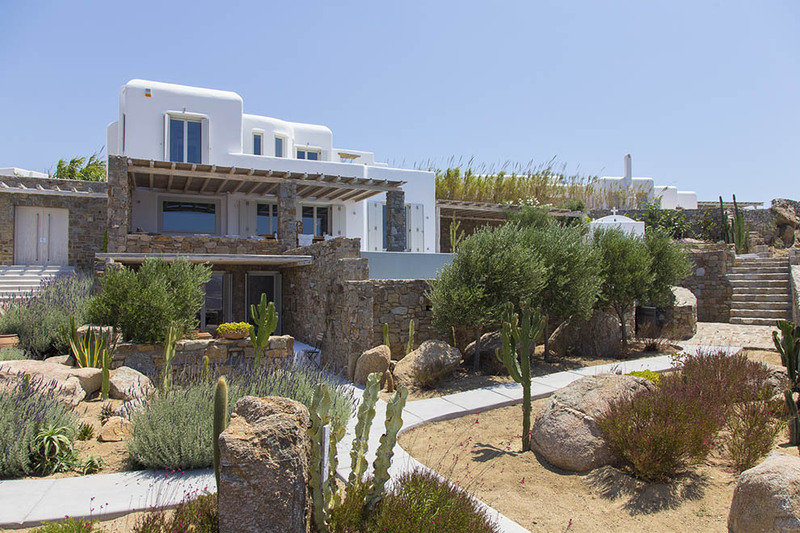 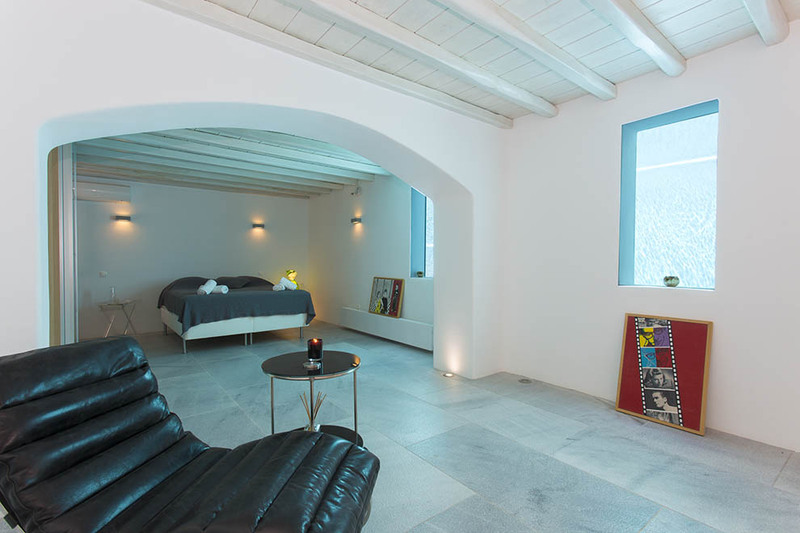 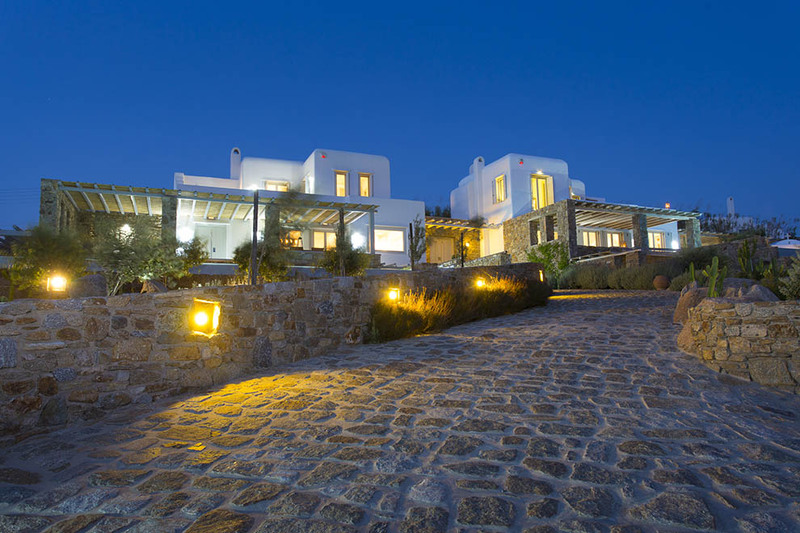 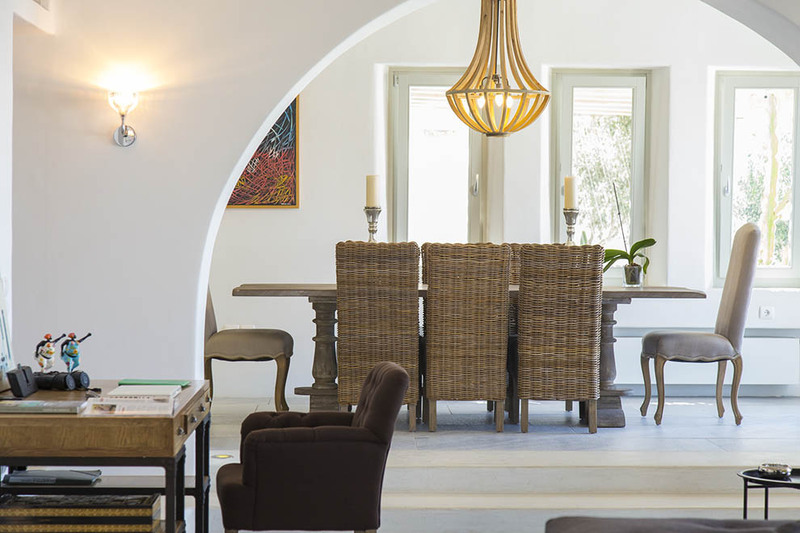 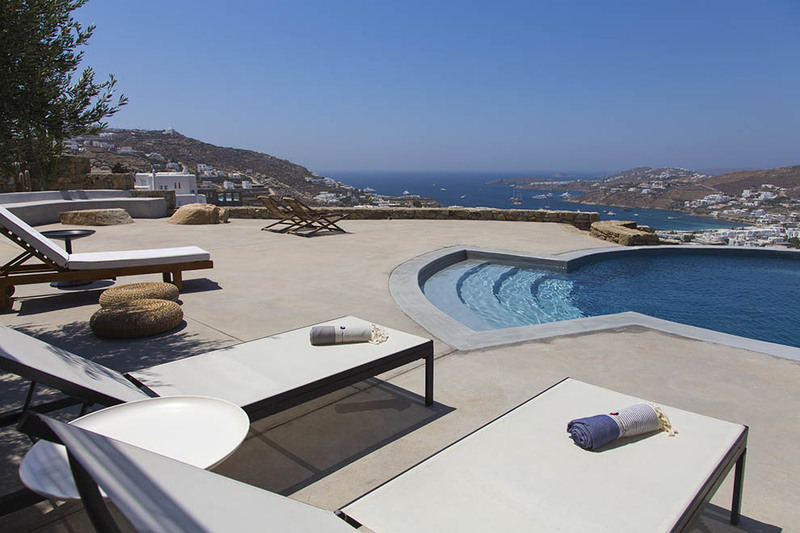 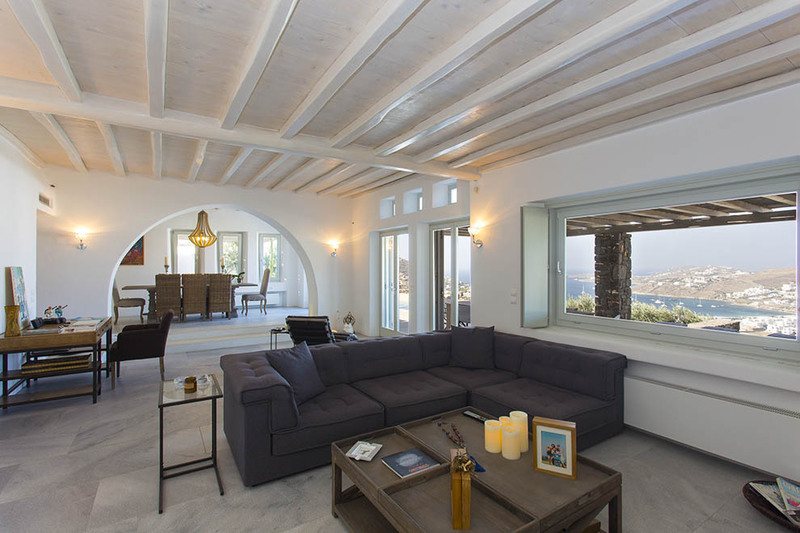 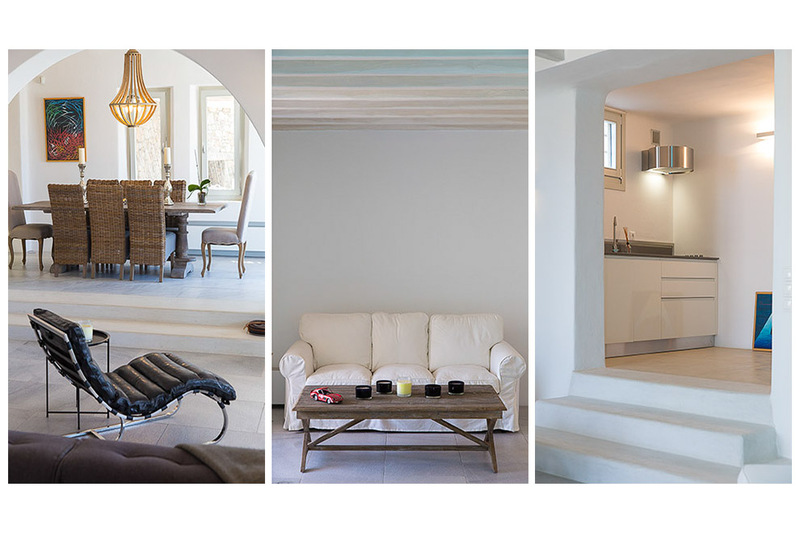 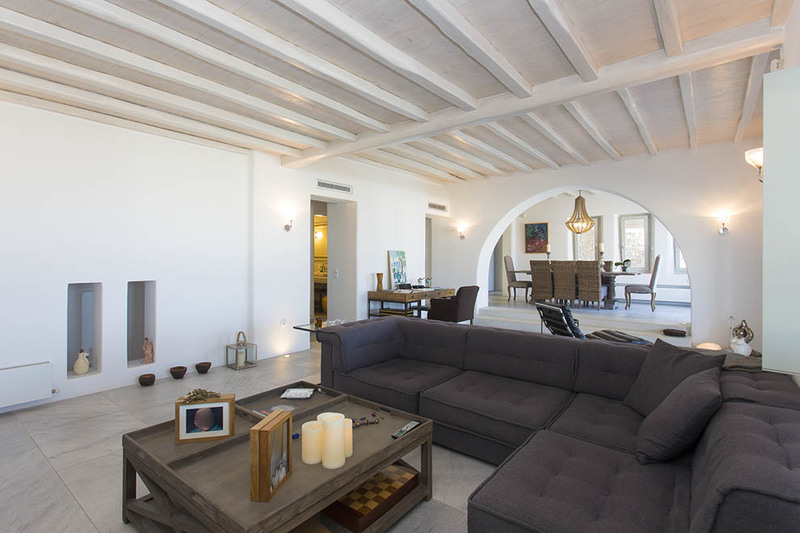 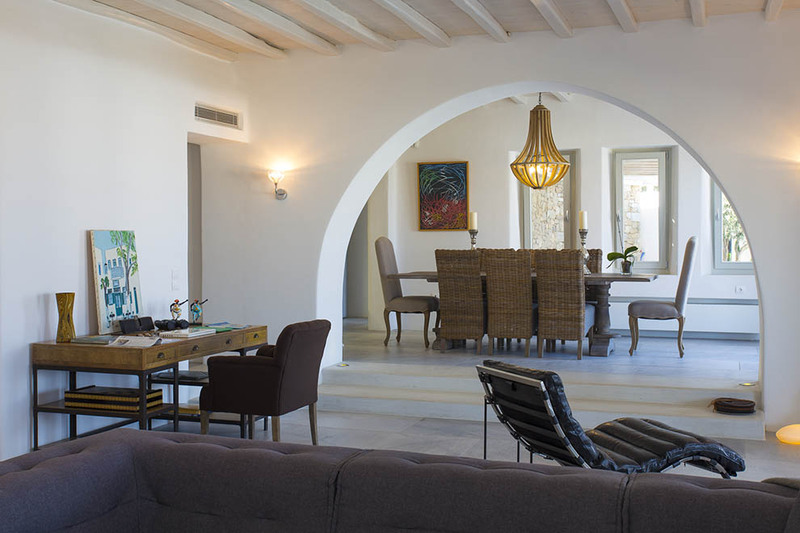 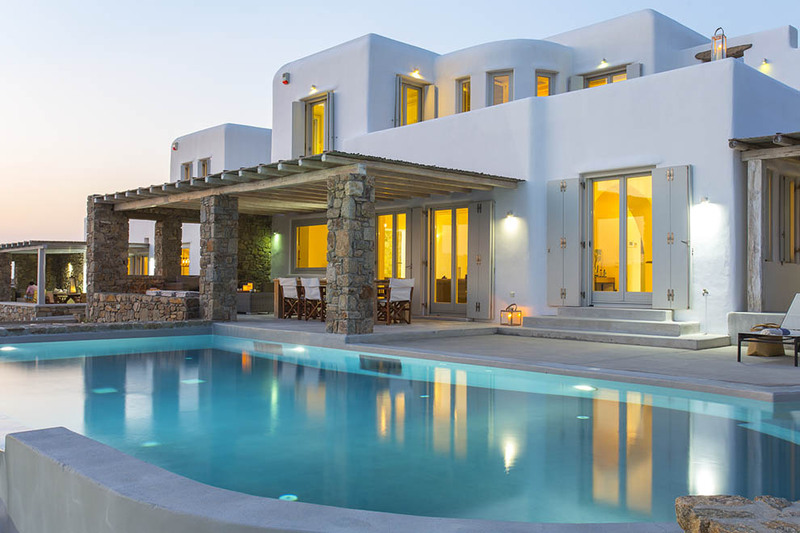 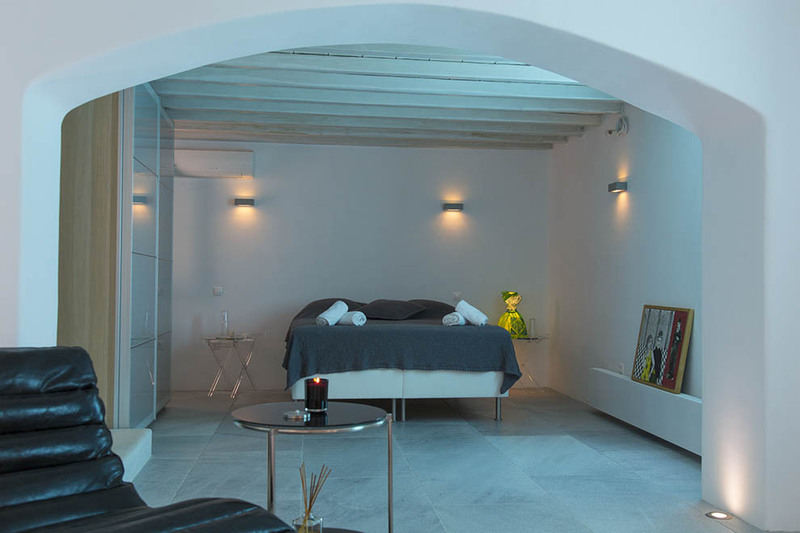 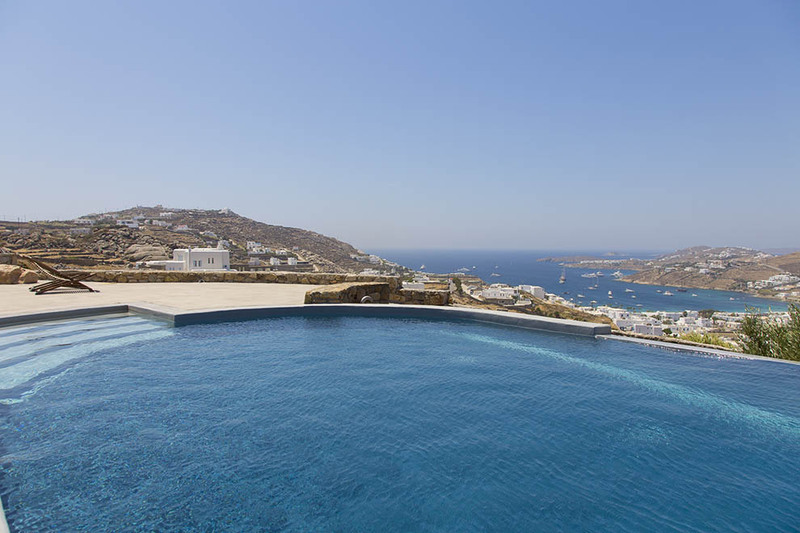 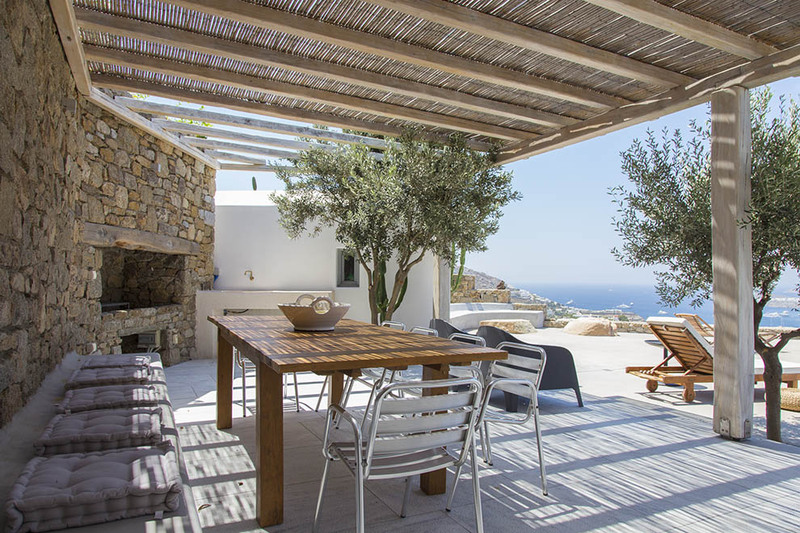 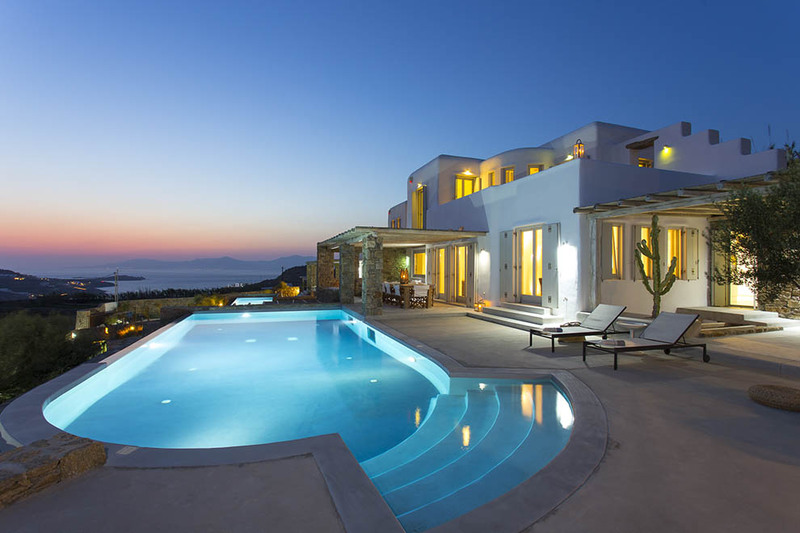 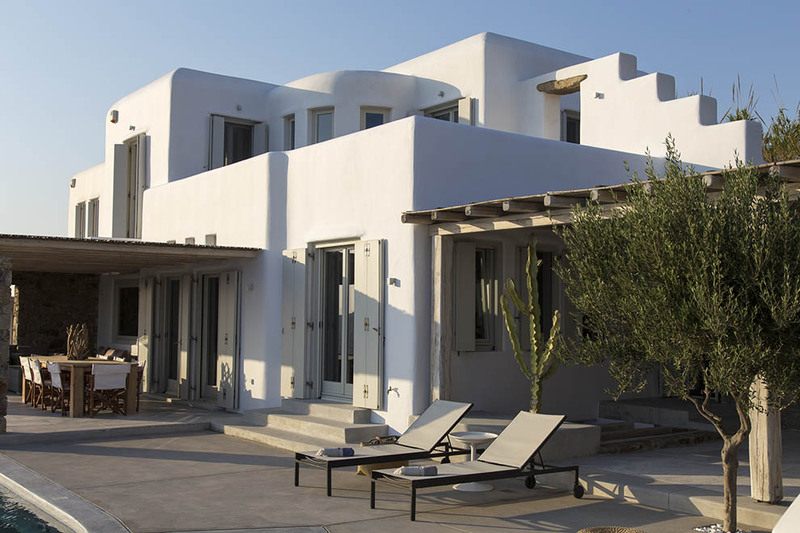 The villa has followed the traditional architecture of the Cycladic island, which has complemented by a minimalistic style with classy furnishing and tasteful decoration. 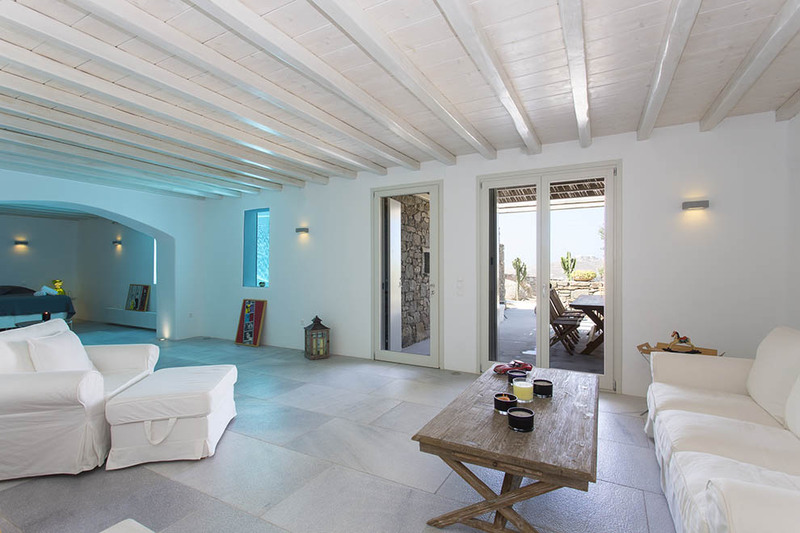 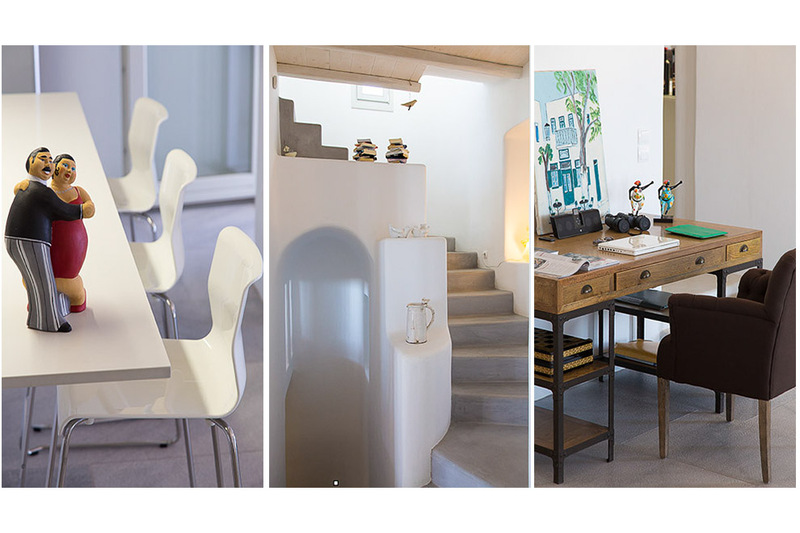 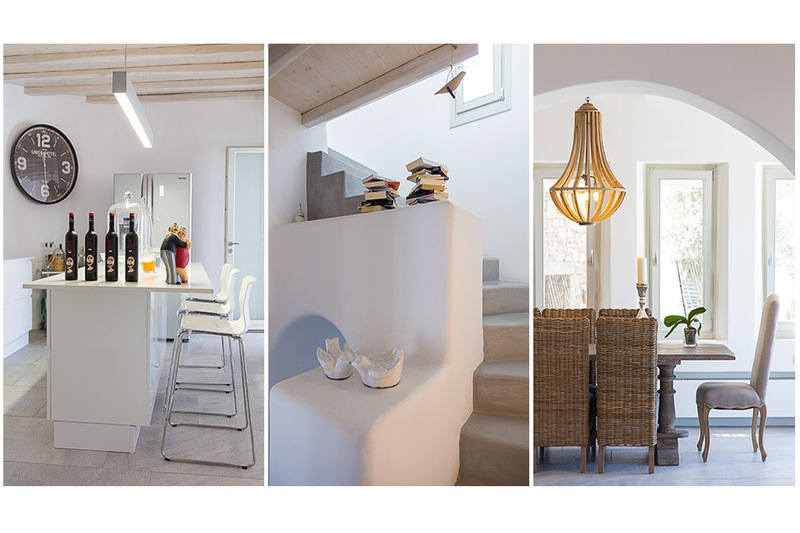 In the interior, the bright touch in which every room is decorated creates a fascinating atmosphere. 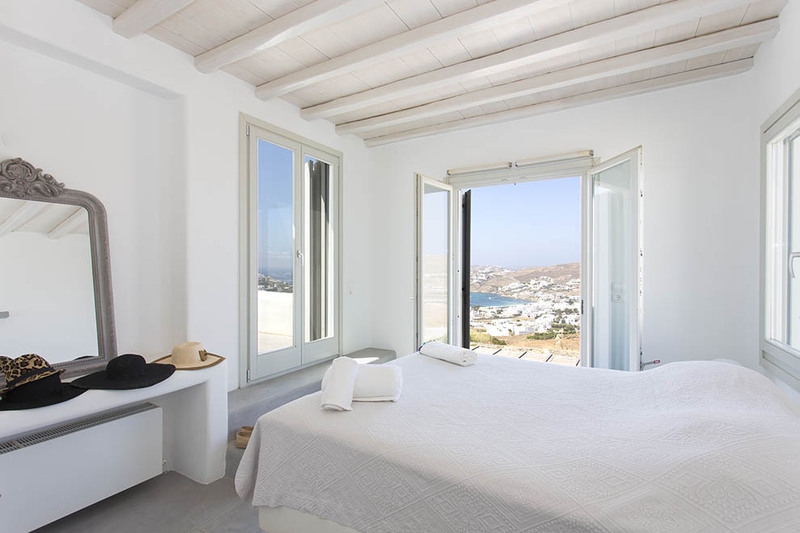 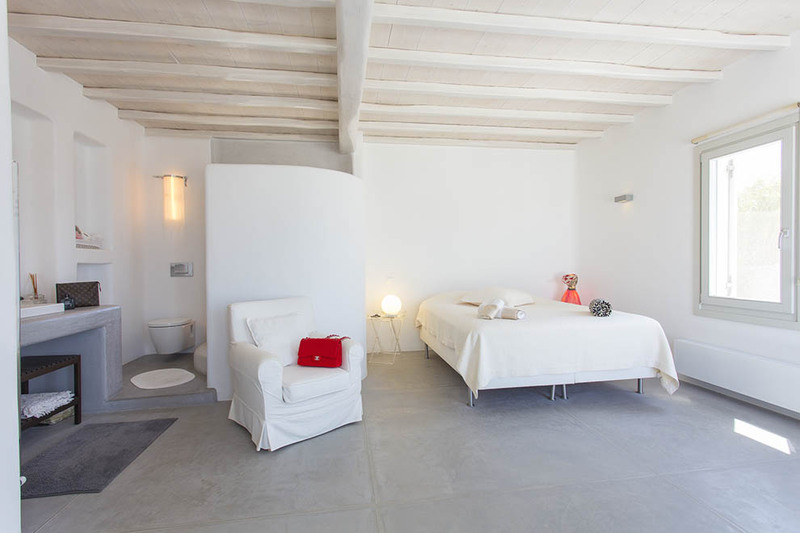 All the bedrooms are spacious, calm the senses and guarantee ultimate comfort. 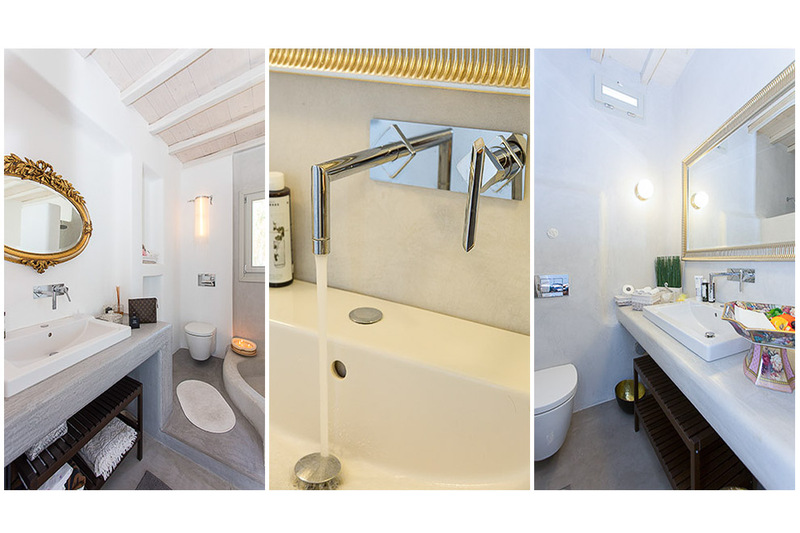 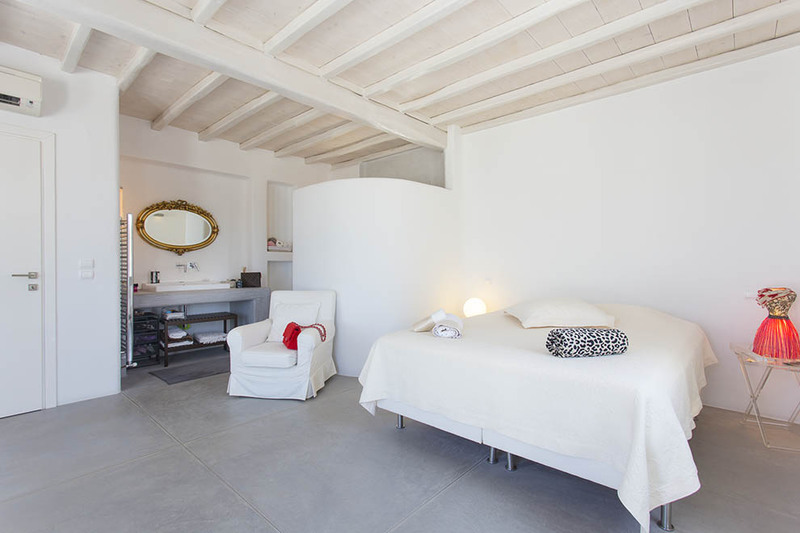 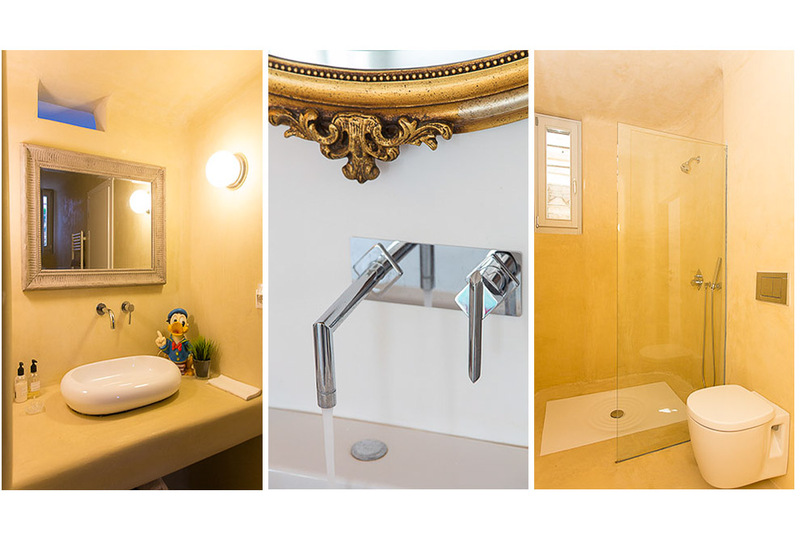 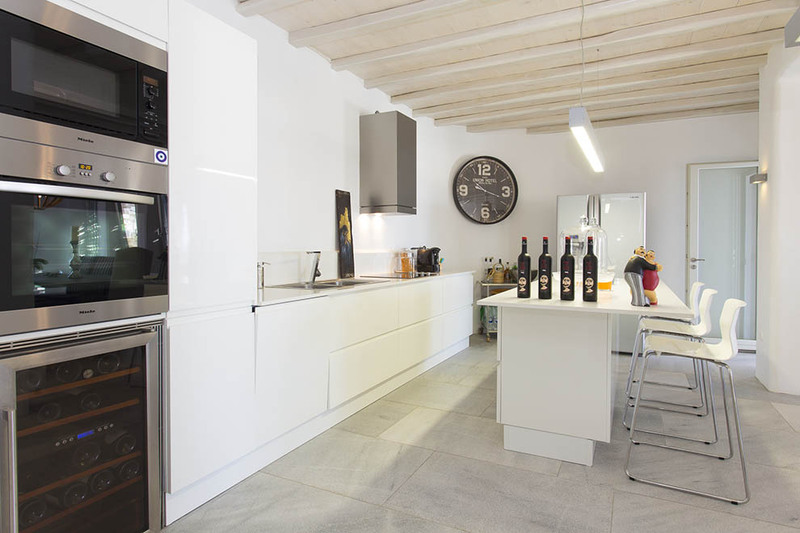 There are four bedrooms in the villa that combine all facilities with meticulous aesthetics and offer a pleasant stay, two of them en-suite and two with bathrooms. 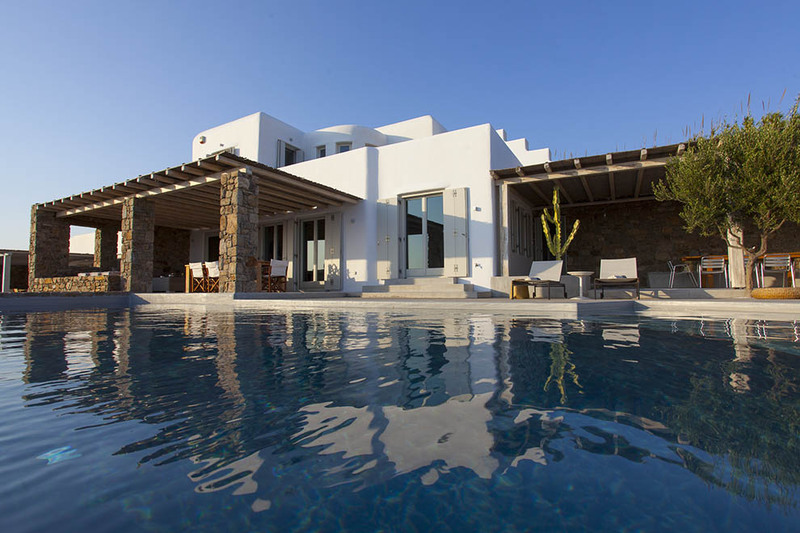 Moving on the outdoor areas, guests can enjoy the water and the sun at the infinity pool, which is surrounded by sun beds and is suitable for recreation and entertainment, while the whole exterior is perfectly designed with pergolas that provide shade to the outdoor dining table and seating areas creating an idyllic atmosphere for relaxation and comfortable stay.